This plan has been curated to allow travellers to explore the classical heritage as well as the culture of Hampi rooted in its communities. We will explore History, Architecture, Culture, Art forms, local livelihoods and have chance to interact with communities that live around the world heritage site. The Price for this itinerary hasn't been listed right now. Please submit an enquiry so we can send you a quote! Pickup from Bus Stand or Railway Station & Transfer to Hotel on Arrival. The Hotel check-in time is 1.00 PM, subject to availability we will arrange early check-in. Freshen up at hotel, leave your luggage and have breakfast. 9.30 AM: Pickup from your hotel and drop to start point of your tour. 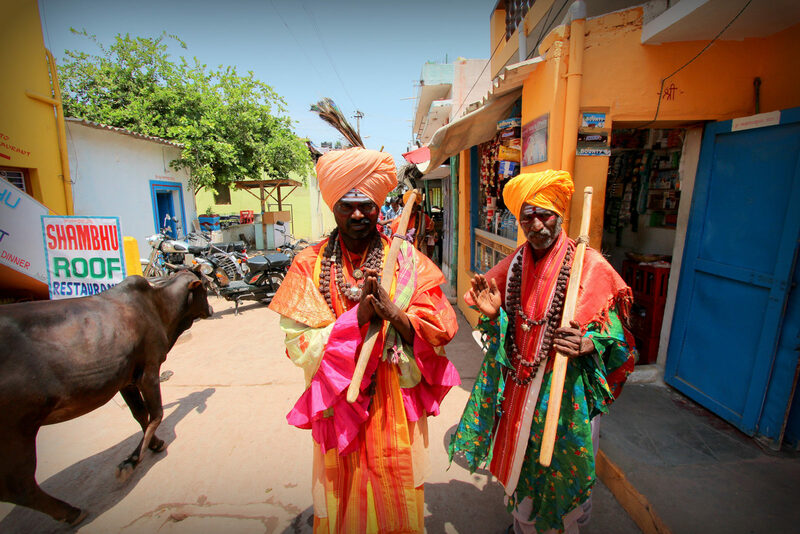 We will be joining other fellow travellers on an immersive tour of Hampi's UNESCO world heritage site. On the tour we will explore the rich history of Vijayanagara empire, learn about unique architecture of various monuments, hear stories of victories and defeat. This is a tour for all history lovers. We will attempt to cover all the important monuments in the Sacred and Royal center areas. In the morning we will first cover the Sacred Center. Sacred Center as the name suggests is the religion center of Hampi, a number of ancient temples and structures are in this area. After lunch break we continue our exploration with the Royal Center area. This area was the Citadel of the Vijayanagara kings, it encompasses courtly and military structures of the core zone. 08.30 AM: Pickup from your hotel. 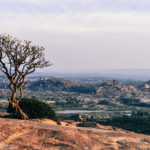 On this Hampi Village Life Tour we will experience the different aspects of local life in village communities around the UNESCO world heritage site. This tour will give you a chance to learn about local culture and an opportunity to enjoy the stunning natural landscapes. We will ride on mopeds, bullock cart and auto rickshaws as we explore villages, the rural countryside, farms, irrigation canals and ancient cave paintings. We will visit local tea shop, women’s handicraft organisation, village schools and temples. We will also enjoy a sumptuous home cooked meal made from fresh locally sourced ingridients. Hampi is often called a living heritage site, this is because of some 29 villages settlements that are within the protected heritage area of Hampi. People living in these settlements are an essential part of the site and if anything enhance its cultural & spiritual significance. Even though the city of Vijayanagara was never established again after the fall of the city in mid 16th century, it continued to be a place of religious & spiritual importance. People have lived here and continued to practice agriculture using irrigation technology developed 600 - 700 years ago. There have been human settlements here for more than 5000 years evident by the abundant cave painting all over the boulder hills of Hampi. The water of river Tungabhadra has blessed this region, several species of birds and animals thrive here. The area also has the most unique and awe-inspiring landscape anywhere in the world with big boulder hills cut through by river and canals, spread between paddy fields, sugarcane fields and banana plantations. 4.30 PM: Drop to your hotel after end of your tour to collect luggage. Transfer from Hotel to Hospet will also be arranged. Please note that typical checkout time at hotels is 12.00 Noon, so you'll have to checkout of rooms early in the morning itself. Accommodation is available in four categories as shared below. Remember to choose an accommodation category when you fill up your enquiry form. Based on your enquiry we will send you detailed price quote. The location of this property is most convenient, just outside of the core zone of Hampi in a village called Kamalapur. All rooms are air-conditioned. There is a inhouse restaurant, room service and laundry services also are offered. Kamalapur is well connected to Hospet (10 Kms). One of a kind properties that will add to your overall experience of Hampi. Tastefully decorated cottages, each cottage unique in its own way. High standards of hygiene and cleanliness are maintained. Local staff are involved in running and maintaining the property. If you are expecting amenities like reliable internet, laundry, 24 hour room service then this is not for you. But if you enjoy staying at unique properties that reflects the local ethos and culture then this is for you. In this category you know what you are getting, because the quality of property and service will be standard. Run mostly by well established hotel conglomerates or chains like the Royal Orchid and Hyatt. This package comes with few transportation options. So choose an option that best suits your need. We typically use auto-rickshaws for all our tours, this is the most convenient way to get around in Hampi and in some areas we can only use auto rickshaws. Usage is limited as per the itinerary. Most of the local transportation in Hampi and during the tour will be done in an A/C car. In some areas we will be using auto-rickshaws, mopeds or other means of transportation as per itinerary. We would advise only day time travel in case you take a car, you would also need to stay one more night in Hampi. Can you tell me more about mopeds? Moped is a light motorcycle (engine power below 60cc). There are several tens of kilometers of rural roads winding between lakes, villages, hillocks and farms near Hampi. One of the best ways to explore this area is on Mopeds. If you have no prior experience riding a moped it is not a problem, one can get the hang of it within 10 -15 minutes of riding. 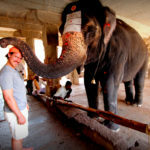 It is one of the favorite pastimes and adventures that you can engage in Hampi. You don’t get a chance everyday to ride a motorcycle through some of the most awe inspiring landscapes in the world, so we encourage you to try it. We will be providing fuel worth INR 200 along with the mopeds. I do not want to ride a moped, can I still choose this experience? If you do not want to ride a moped then we can arrange an autorickshaw as an alternative to show you around. The cost will remain the same. Entry fee to the monuments is not included. You will have to pay this directly at the counter, your guide will help facilitate this. The reason we don't include this is to keep the pricing for Indian and Foreign nationals same. Is there a dress code? What should we carry on our own? Wear comfortable cotton clothes. Wear clothing that would cover your chest and shoulders. Wear bottoms that would cover up to your knees. A cap or an umbrella to keep the sun out. How do I book this and pay for it? Submit an enquiry by clicking on the button and providing us your details. Not happy with the above package? Not a problem! We have more packages that can suit your interests and needs. Browse through the tours listed here and see if you find any of then interesting.